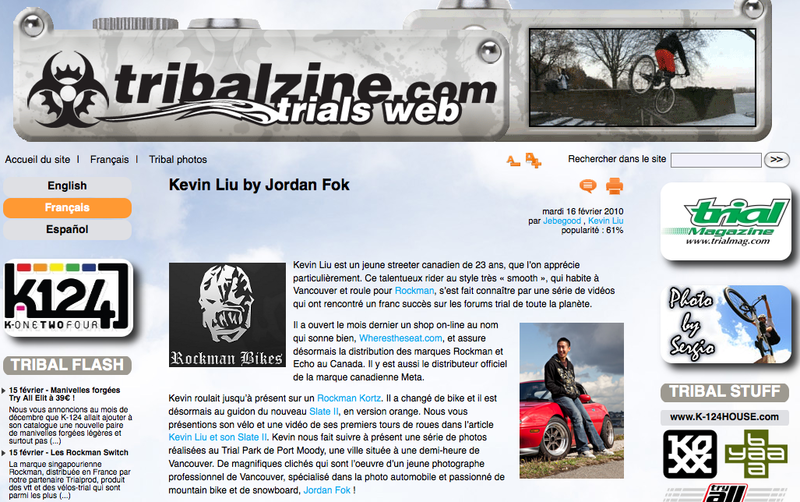 Jordan Fok Photography: Photos Featured on French Trials website! Photos Featured on French Trials website! I don't really understand much french anymore but its still wicked to see my shots up and have people recognized my work from across the country. They re-edited some of the shots but its not a big deal still sick stuff. I believe Dirtrag is going to be also featuring one of my shots of Kevin biking also in their next issue , so i'll be on the look out for that. helped allan with a school project.